National Geographic asked us to write their first book on couples adventure travel, now in its second printing. This 272-page guide-meets-memoir draws from our five-year journey across seven continents and compiles our favorite 75 destinations, savviest advice, and inspiring stories to jumpstart a lifetime of exploration. 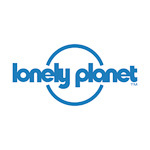 Lonely Planet reached out to 100 top explorers and travel writers, from the likes of Pico Iyer to Don George, to share the one moment from the road that changed their lives. We had the honor of contributing two essays in this gorgeous travel anthology. Narrowing down the 100s of honeymoon destinations we’ve experienced to a Top 10 was no easy task. But when it comes to a perfect blend of gorgeous landscapes, interesting cultures, and romantic vibes, these are some of our absolute favorite places to celebrate a new life together. Visit Idaho wanted us to share the wonders of their highly undertated state in a month-long road trip and editorial campaign. We created over 65 pieces of content, including two blogs for their website. Time alone as a couple – be it on a honeymoon or a long weekend without the kids – definitely deserves a little indulgence, though there is a way to do it while also being good to the planet and the communities offering up dreamy experiences. Here are nine ways to share the love on your romantic getaway. A travel essay on meeting the last Kalinga tattoo artist and the surprising revival of this dying Filipino art. An interview with the founder of Honeyfund.com and HoneyTrek anecdotes for adding adventure to a honeymoon. – Read feature on The Knot, one of three stories commissioned. Monthly Column on Travelocity.comFrom 2016-2018 we were official Gnational Gnomads, an exclusive group of high-profile travel and lifestyle experts who offer tips and inspiration, and contributed at least of one story a month to Travelocity’s Inspire Hub. Anne’s weekly column on this leading women’s lifestyle website on what to do, where to stay, what to eat, and what to pack in the world’s most fabulous cities. The team at Brides.com reached out to us as experts for their in-depth feature on long-term honeymooning. Canada’s most authoritative newspaper used our text and tips from Ultimate Journeys for Two to help readers find a destination for any relationship woe. In a 40-minute podcast, we create an in-depth road trip guide for those looking to explore the Evergreen State. We’ve scouted, reviewed and written about dozens of properties for this experiential travel website. From treehouses to mountain chalets, over 30 features can be found at our column. In this well-established expat magazine, we offer step-by-step advice to affordably traveling the world. A story with original reporting and photography to help launch Expedia’s Traveler Identity series. If your interested in working with us on an editorial project, please email [email protected].